Interview with Ignite! Community Theatre. (from left) Kathy Bowers, Verne Windham, Pat Marvel, and Tom Sanderson. Playwright and actor Molly Allen's new play "Closing It Up" will be staged at The Bing Saturday, February 2nd in advance of the AACT-American Association of Community Theatre Festival. 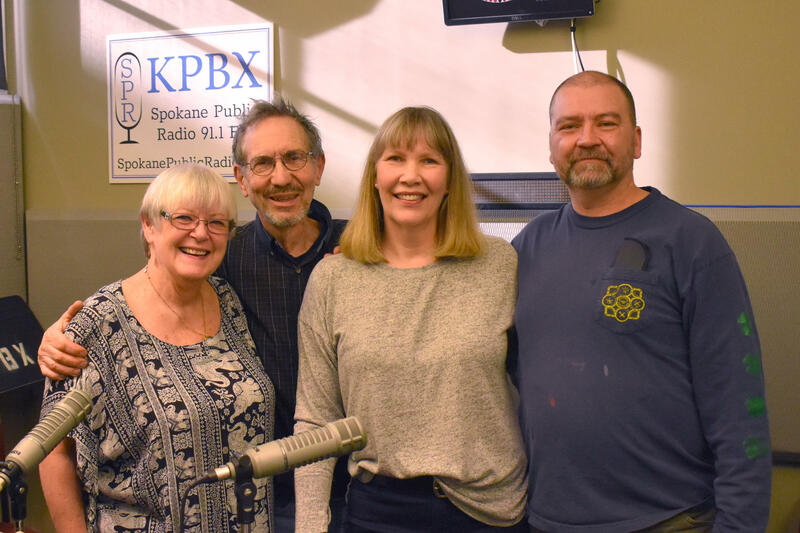 She stopped by the SPR studio with director Thomas Heppler and actor Andrew Biviano to talk about the show with Verne Windham. Tickets to "Closing It Up" are available from Northwest Tickets. From the Studio: Spokane Children's Theatre presents "The Snow Queen"
Gathered in our station this morning were Spokane Children’s Theatre Managing Director Doug Bestcha, Technical Director Galen Myers, actors Declan Sheehan and Kyrie Hertz, and Emily Buckmaster, director of “The Snow Queen,” the theatre’s latest production. Adapted from the acclaimed fairy tale by Hans Christian Andersen, this musical odyssey follows a young girl through a magical land on her quest to rescue her best friend from the titular villain. Performances will be at 7 PM on January 25 and 2 PM on January 26 & 27*, with more showtimes each weekend through February 10.